If there is a simpler or more effective means of sharpening and polishing your knives or tools, we don't know what it is. Simply apply a few drops of this polishing compound to a piece of wood, leather, or other substrate. With a few gentle strokes, you'll have a sharpened edge and a high polish shine on your blade or tool edge. 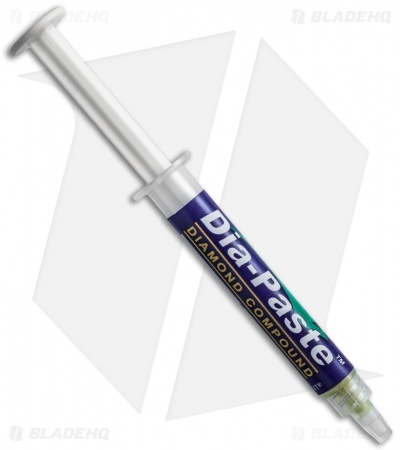 This package includes 2 grams of the 3 micron/8000 mesh honing compound. I take a very small amount and rub with a finger onto a small homemade strop, within a few minutes of stropping I have a sharper and much shinier edge, not an ultimate mirror like with the high end sharpening systems but very rewarding results. I will definitely buy again and thinking of trying a finer micron also for a more refined edge.